After visiting the Kalobeyei Refugee Settlement in Kenya, Pritzker Prize–winning architect Shigeru Ban has signed an agreement with UN-HABITAT to design up to 20,000 new shelters for the site’s incoming refugees. 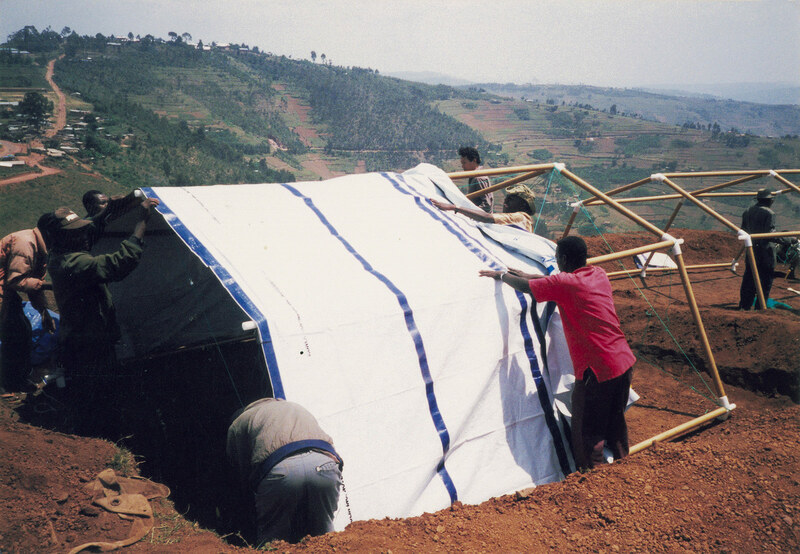 Ban has previously completed similar projects in Nepal, Turkey, Rwanda, and Italy to house displaced populations, demonstrating a skill for creating high-durability, low-cost shelters using eco-friendly building materials such as cardboard, wood, and recycled containers. The shelters need to be a replicable model that can be adapted to Kalobeyei’s influx of people. The new housing has been commissioned in response to the settlement’s rapid growth in the past months—it currently houses 37,000 refugees fleeing violence and climate change in South Sudan and Somalia, and is expected to outnumber its original capacity of 45,000 within a year. This project in particular poses challenges: Kenya’s arid, hot climate gives way to powerful floods in the rainy season, existing shelters are rapidly deteriorating, building materials are scarce, and Nairobi is a three-day drive away. Yuka Terada, the Project Coordinator for UN-HABITAT, stated in a press release that the project’s approaches will be “strongly participatory and the relevant county officers, as well as the representatives from refugee and host community, will have an input in the design process.” During his visit to the settlement, Ban also emphasized his commitment to incorporating local architectural traditions into the final product. “The key thing will be to design and construct shelter where no or little technical supervision is required, and use materials that are locally available and eco-friendly. It’s important that the houses can be easily maintained by inhabitants,” he stated. The resulting design will be prototyped on 20 shelters before expansion throughout the settlement. June 29, 2018 Why are architecture’s major professional organizations silent on the immigrant detention debate?